Oh, Man, I hate criticism . . .
and, of course, it depends on how it is delivered. I hate it, either way! Nonetheless, there are two types of Criticism & two types of Criticism Delivery. There is good criticism and there is bad criticism. Good criticism is good counsel – the feedback is probably spot on or at least worth considering. Bad criticism is bad counsel – the feedback just doesn’t resonate for you. Good delivery of bad criticism or counsel does not make it good counsel. It’s a turd wrapped in pretty wrapping paper. Bad delivery of good criticism is unfortunate because you probably need the gold nugget wrapped in barbed wire. The goal is good criticism delivered well. I experienced one of these last week . . . I still didn’t like it! But, it had huge impact . . . and I’m grateful! It was delivered well – and it was very behaviorally specific – and it was future oriented. I ended up writing his words down in prominent places to remind me . . .
What is it that irks you most about criticism? Is there ever good criticism in your book? 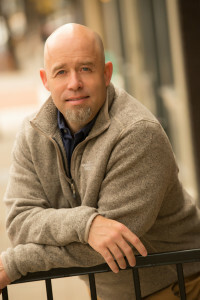 Dr. Bruce Rumsey —Littleton Counselor, professor, consultant, and personal development coach. He’s helped individuals, couples and families for more than twenty years. He has seen resolution of life’s most challenging dilemmas, over and over.